Erroll Southers was nominated in September to head the Transportation Security Administration. In the aftermath of the attempted bombing of Northwest Flight 253, it is likely the Senate will move to confirm the embattled nomination of Southers as head of the Transportation Security Administration when it returns from its winter recess. Objections to Southers' confirmation were first made by Republican Sen. Jim DeMint of South Carolina over the potential unionization of TSA employees. 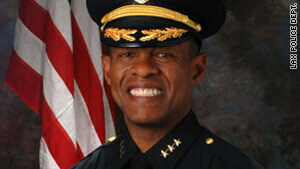 Southers is the Los Angeles International Airport's assistant chief for homeland security and intelligence. The airport's police department, which Southers has helped manage since early 2007, is the largest such operation in the country, with approximately 1,200 employees. Southers is also associate director at the Center for Risk and Economic Analysis of Terrorism Events at the University of Southern California. The former FBI special agent served as a deputy director of homeland security for California Gov. Arnold Schwarzenegger. The attorney who will defend the 23-year-old Nigerian man accused of trying to blow up Northwest Flight 253 is no stranger to terrorism cases, according to The Detroit News. Miriam Siefer, chief federal defender with the Federal Defender Office in Detroit, Michigan, represented James Nichols when he was a suspect in the Oklahoma City bombing. His brother Terry Nichols was convicted for that act of domestic terrorism. Siefer is now the lead attorney for Umar Farouk AbdulMutallab, who is accused of hiding explosive materials sewn into his underwear that could have brought down the airplane. "She's one of a handful of people who is universally respected and admired by people in the U.S. Attorney's Office," said Alan Gershel, the former head of criminal prosecutions in Detroit who now is a law professor at Cooley Law School in Auburn Hills, Michigan. A U.S. district judge has ruled that Oakland University in Rochester, Michigan, violated a federal law by refusing to allow Fialka-Feldman, a disabled student, to live in a campus dorm and now must make a room available for him. The Detroit News and NPR report that Fialka-Feldman has a mild cognitive impairment that hinders his ability to read and write. But the university said because he was in a special program and not a full-time student, he couldn't live on campus. It took him two buses and two hours to get to campus from his parents' home. The judge ruled that Oakland University had discriminated against Fialka-Feldman, who says he will hang a poster in his room with quotes from civil rights leaders. One says: "A community that excludes one member is not a community at all." The Palm Beach, Florida, billionaire says that a 1787 Lafite Bordeaux with Thomas Jefferson's initials etched into the bottle is fake. "I thought that I had a piece of history, a piece of America's most important history," Koch told the Los Angeles Times. So Koch sued the seller and has filed four other lawsuits. He says there are more to come. His goal is to clean up an industry where a single bottle can go for more than $100,000. In 1989, Koch purchased the Lafite and three other bottles of Bordeaux, also purported to be Jefferson's, for about $500,000. In the federal lawsuit he filed in New York against the wine supplier, Koch claims Jefferson's "initials" were etched into the bottle with modern-day power tools. This 15-year-old 10th-grader from Old Westbury, New York, is the youngest player to win the men's national singles championship in table tennis, or pingpong. In a New York Times profile, Landers says his training can last 30 hours each week. For 14 months, Goran Milanovic, a former Serbian discuss thrower, has been putting him through 90-minute workouts two or three times a week.